As part of this December’s 5(hundred) Hours: A Call to Prayer, we are setting aside New Year’s Day—Friday, January 1st, 2010—as a day of prayer and fasting. [W]henever men are to pray to God concerning any great matter, it would be expedient to appoint fasting along with prayer. 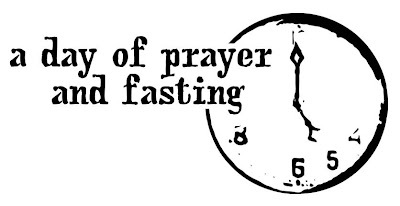 Fasting is calculated to bring a note of urgency and importunity into our praying, and to give force to our pleading in the court of heaven. The man who prays with fasting is giving heaven notice that he is truly earnest . . . . Not only so, but he is expressing his earnestness in a divinely-appointed way. He is using a means that God has chosen to make his voice to be heard on high.